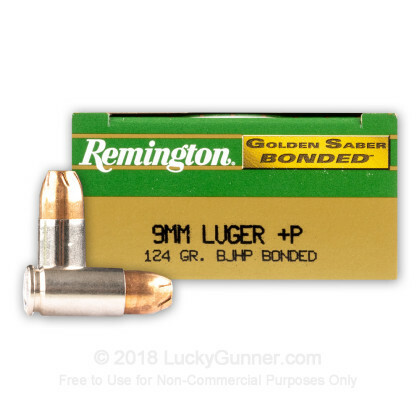 Remington's premium Bonded 9mm Golden Saber load is a great performing duty load for law enforcement officers as well as for general self-defense use. 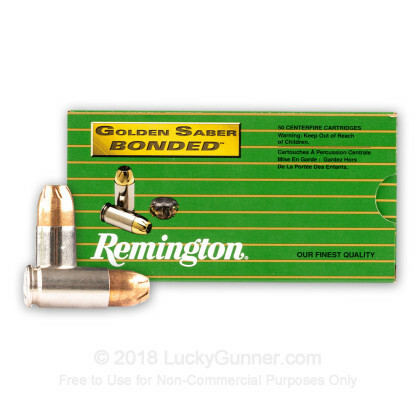 Remington's Bonded line of Golden Saber ammunition is designed to perform better through barriers such as auto-glass and heavy clothing than the regular Golden Saber line. The bonding process that the bullets undergo enables them to retain weight more effectively through all barriers allowing deeper penetration. The most difficult portion of the FBI test protocol is the auto-glass barrier test performed through a compound angled glass (front windshield). 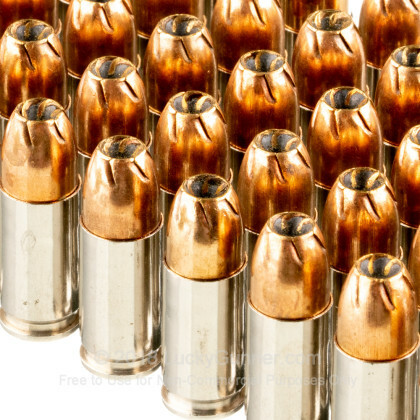 Many traditional hollow point bullets do not fare well through this test. However, Remington's Bonded 9mm +P 124 gr JHP Golden Saber load performs very well in the FBI protocol test through auto-glass maintaining 90% weight retention, expanding to .54" (1.7X its original diameter), and achieving 11.3" of penetration! The powders used in this load are treated with a chemical flash suppressant mitigating the muzzle flash reducing night blindness and helps to avoid revealing your position. Additionally, this load features nickel-plated cases which are designed to feed and extract more smoothly than traditional brass cases. Finally, both the primer pocked and the mouth of the case are sealed to prevent moisture intrusion. This product is designed for Law Enforcement and occasionally made available to the general public through police trade-ins. Have shot hundreds n my S&W M&P 9c. No feeding problems, no misfires and shoot very well. Thanks Remington for the golden saber bonded ammo. 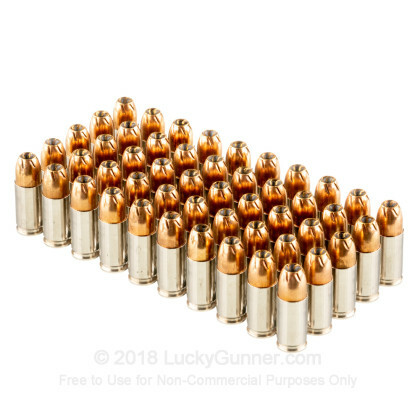 I was looking for a top defensive round for my 9 MM- the Remington Golden Saber Bonded really seems like the round I can depend on! I work at a gun shop so I know about lots of different self defense rounds. This really is a good price. Most places you look at only have the 25 round boxes and they aren't bonded. Plus they cost about the same price as these. Bonded is important because it seriously prevents any jacket/lead separation. These are what I carry. 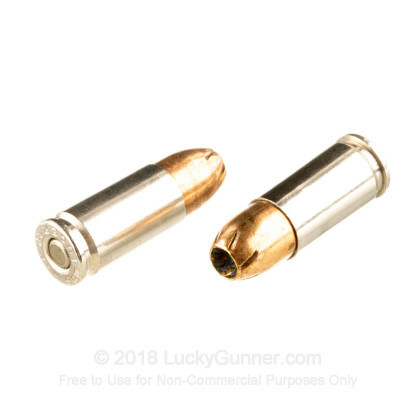 These things never jam, never misfire, have above average accuracy, and leave the gun pretty clean after several hundred rounds. This is what I keep in my mag for home use and I'm confident it will do the job. Love the quality, the promptness and the costumers service. Shoots well out of my Glock, very good quality espcially for the price. Q: Are you going to test the GSB9MMD ammo? I really appreciate your list of ammunition tests as an apples-to-apples comparison. Thank you. A: Hi Gary. We are always testing new products. Of course, we can't keep up with the manufacturers as quick as they can introduce them! Keep an eye on the site, hopefully we will get to the SB GD soon. A: Hey Kevin, Thank you for reaching out and for stopping by the site. 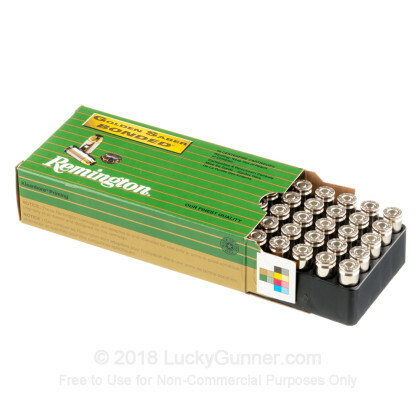 The Remington Golden Saber bonded rounds you looked at are 9mm Luger so they'd fit your Kimber STS well. The question I have for you is if Kimber recommends you fire +P rounds through your firearm. +P rounds are loaded to higher pressure than most rounds so they provide more muzzle velocity. That said, many manufacturers do not recommend firing them because the extra pressure can lead to excess wear-and-tear on the gun. If you have it, I'd check the owner's manual to see what it says. Many shooters disregard the notice and fire +P in guns where the manufacturer suggests they don't. It's a personal decision that you'll have to make moving forward. If, however, Kimber says fire away with the +P round, you won't have to make that call yourself.